I love reading beauty blogs written by makeup artists. It's so interesting to see what products they love and use on themselves and their clients. Norah Loves Makeup, written by Norah Salazar, is one such blog. She's always writing about products that I immediately want to buy based on her amazing, in-depth reviews. And can we please talk about how absolutely gorgeous she is? Read on to find out how she got her start as a makeup artist, the lip treatment she can't live without and so much more. I am originally from Peru, a bit of a world gypsy as I've spent years of my life in Spain, Germany and the UK plus just returned to the USA after six years of living/working as a makeup artist in Singapore. Aside from blogging I am a makeup artist, a wife and a mother of two children plus a dog. While living in Singapore, I did a course at Makeup Forever Academy and fell in love with the art and creative outlet makeup gave me. In Asia, I discovered a new beauty aesthetic and learned a lot from my surroundings (applying makeup in humidity and heat). Because I was between London and Singapore, I had a chance to attend courses in London and this was yet another opportunity to learn from senior artists at Muse London Academy and London EST while shooting tests. I began to document my journey in my blog -- it was a sounding board for all the experiences, my "loves" and things I was living. I found my passion and love in makeup so Norah Loves Makeup just made perfect sense. Embryolisse Lait-Creme Concentre (or Hydra Mat if your skin is dry). This is my go to moisturizer. I just love it, works magic on everyone, looks pretty with or without makeup. 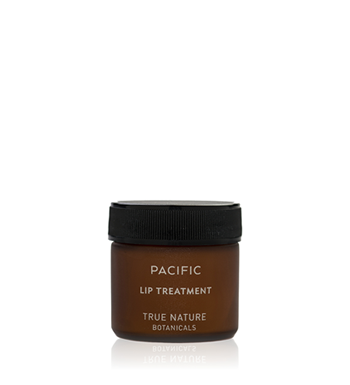 True Nature Botanicals Pacific Lip Treatment. I haven't found a product so complete and excellent for dry chapped lips. This is made with the finest ingredients and zero petroleum. Everything TNT does is top quality, their oils are amazing too. Skindinavia The Makeup Finishing Spray. I have relied on this product for all my makeup work as a primer and a finishing spray, it will make your skin/makeup look gorgeous! 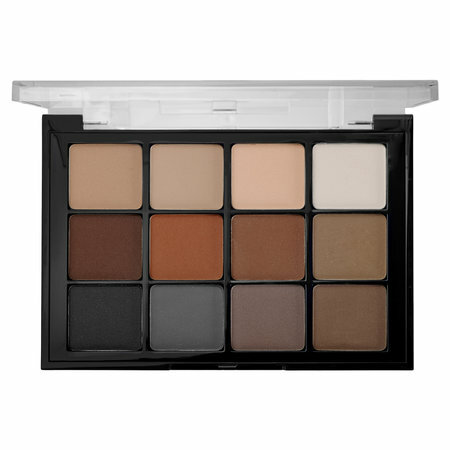 Viseart Eyeshadow Palette 01 Neutral Matte. This is the king of eyeshadow palettes. If you love neutrals like I do and want no fallout and a product that is red carpet worthy, Viseart makes the best eyeshadows. Beecology Hand and Body Cream. I have sensitive skin and this is a body care product that will deeply hydrate and it is made with fine non toxic ingredients. 1) You are what you eat so eat smart. 2) Sleep, it restores your skin and your body. 3)Use SPF, don't bake in the sun, it will age you! Museums. I love visiting museums everywhere and admiring street art in New York City. I also love indie films and because my time is limited, when I can I like going out to restaurants with my husband. Also, I love to work out (Zumba and bootcamps keep me focused). You can find me on Twitter, Facebook, Instagram, Pinterest and Google+. Jamie, thank you! This is so sweet of you, I am so humbled to be featured. I absolutely love this series! It is wonderful to know so much more about Norah! I love her blog, and her expertise as a makeup artist enables her to offer such useful insights! Norah is SO talented! I will buy everything she says because SHE KNOWS what works! This is the best series. I love learning about blogger/makeup artists. Norah gave us such a great picture of who she is. And she's got great taste in products. I just love Norah, great interview! I'm a huge fan of Norah, and all the looks/styling she does are stunning. It was great to know more about her. Looking forward to more in this series. Another great interview! So interesting learning about her career/training.